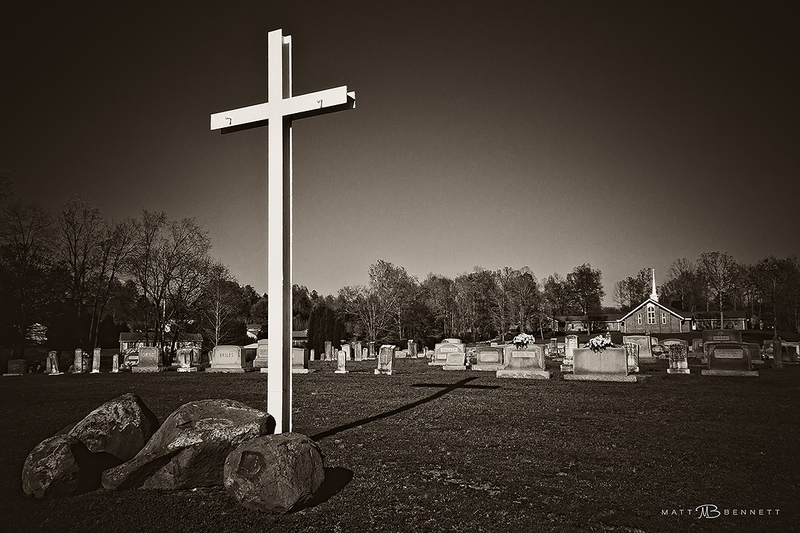 The late afternoon sun cast a convincing shadow of the cross on the grounds of Mount Gilead United Methodist Church. I wished I could have had a slightly higher vantage point, but nonetheless I still like the effect. The spot where the cross stands is approximately where the pulpit stood in the old frame church. This is the church I grew up in. I wished I could have got a photo of it before it was torn down. Photographic Notes: Nikon D90 with 18-200 mm VR f/3.5-5.6 lens. All images © Matt Bennett Photography.